There are volunteer and sponsorship opportunities for all of our events. For more information on ways you can help children and adults with disabilities in your community lead more productive and independent lives, please contact Denise Hornbecker, Vice President of Development & Public Affairs at 1-800-874-7687 ext. 104 or e-mail her at deniseh@eastersealsofct.org. Check back soon for an updated events listing. 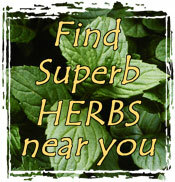 If you have an event you want to see listed on this website, send your email to sara@superbherbs.net.